-The new outdoor pop-up in Gowanus, Pig Beach is a part of the outside barbecue-bar venue, "Swan Dive," located behind the Green Building. -The team will be grilling all summer long, weather permitting. -With the spacious outdoor setting, communal picnic tables and umbrellas, it is a perfect spot for baby carrying Brooklyn parents as well as yuccies who act similar to the same nearby children whom they complain about often. 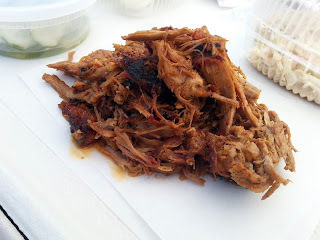 -The pork shoulder is flavorful, but RB was left longing for the scrumptious looking turkey breast. 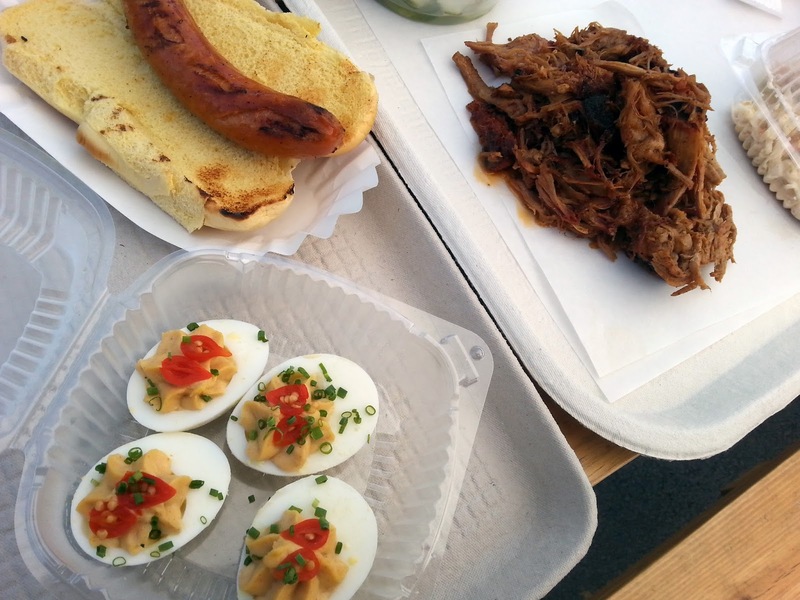 -The Deviled Eggs are creamy, and the pickled cucumbers are refreshing and crispy. -Perfect summer spot for groups and families... but not for germaphobes. The bathroom here is a Port-A-John.